Damon Gatison is a Principal at Capco in the Digital Practice in North America, serving the Wealth Management Group across strategy development and execution, project management, and enterprise adoption of innovative technologies. He has over 15 years’ experience across investment and wealth management implementing solutions for his clients most cumbersome dilemmas. He leads the North American Go-To-Market Strategy for the firm exploring new avenues for exposure and brand awareness. Damon’s key tenets for achievement are industry benchmarking for target state model, corporate development/M&A, firm profitability analysis, and process re-engineering to simplify complex solutions for enhanced business results. 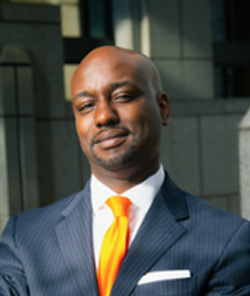 He is a graduate of Morehouse College in Atlanta, GA. with a Bachelor of Arts degree in Finance and Marketing.